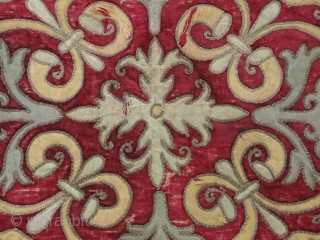 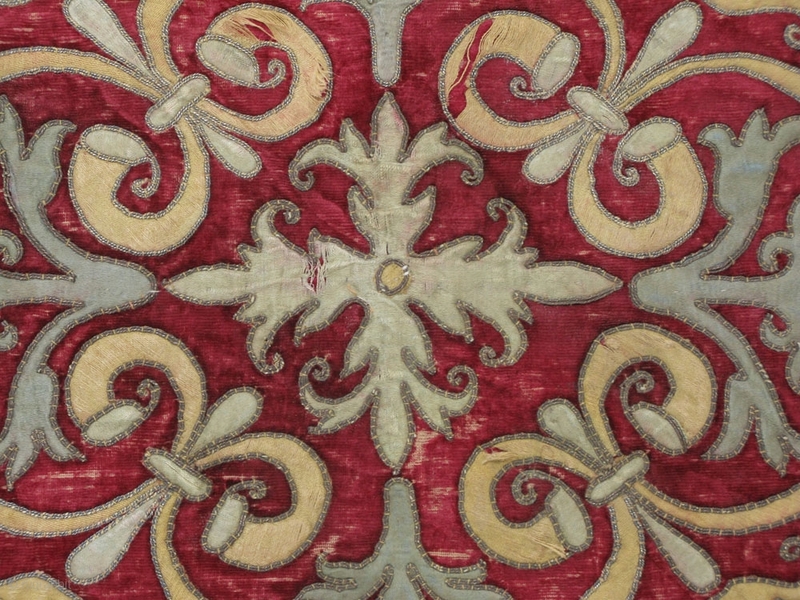 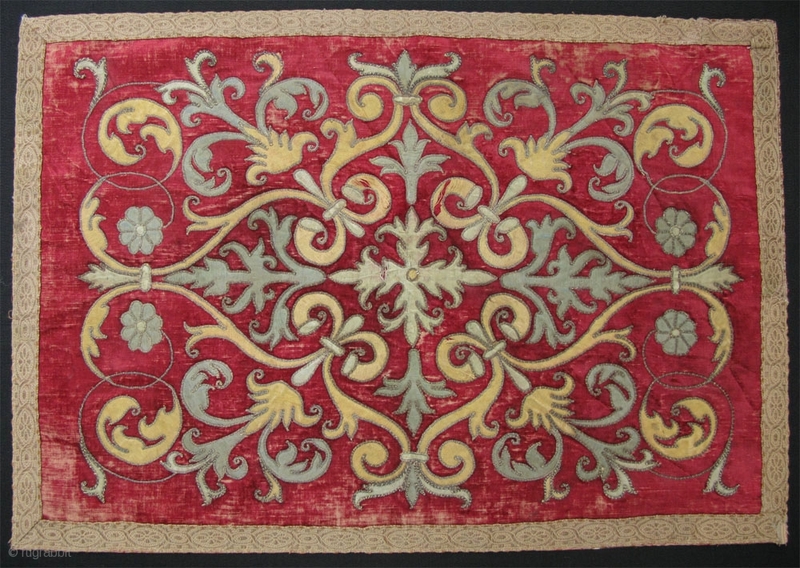 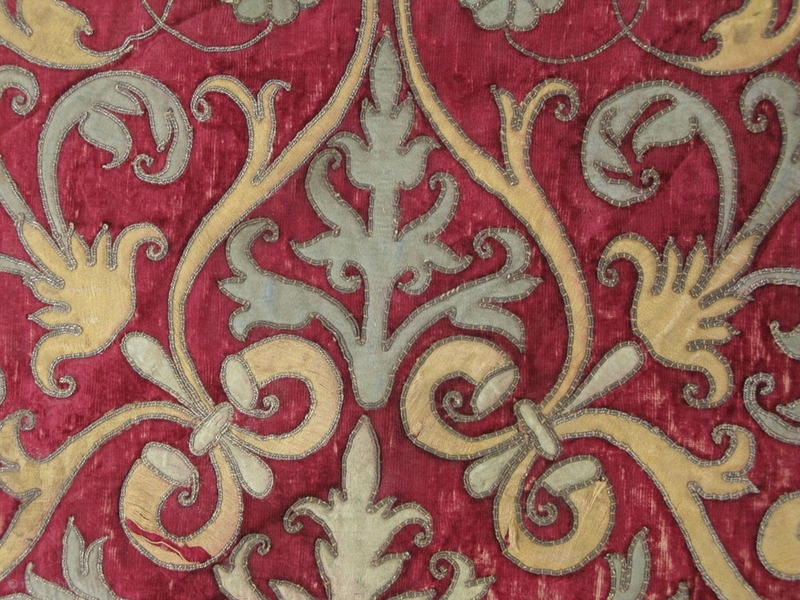 Uzbekistan Bokhara silk fabric pieced on velvet and bordered with silver metallic yarn. 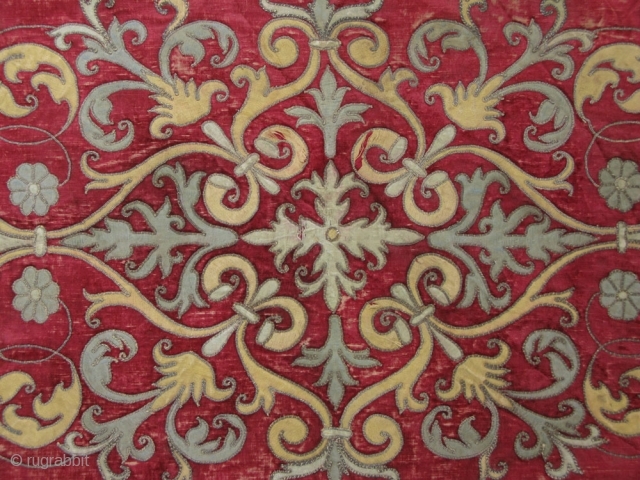 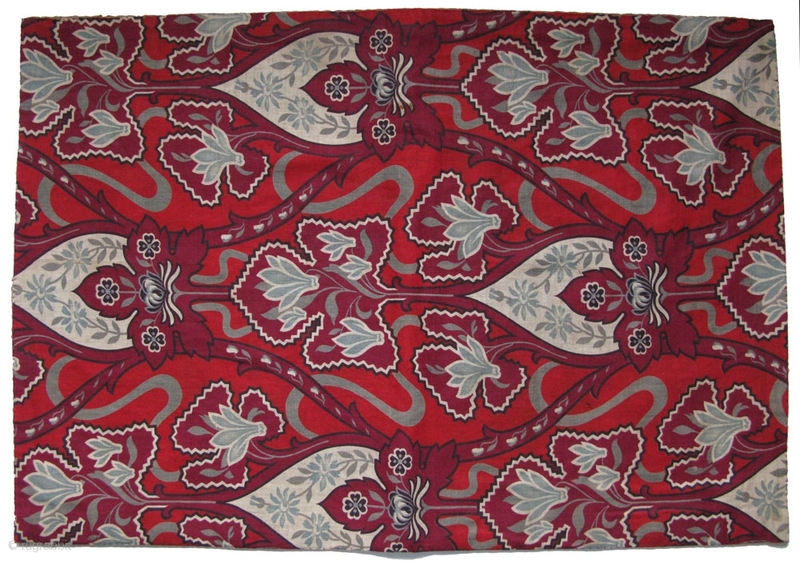 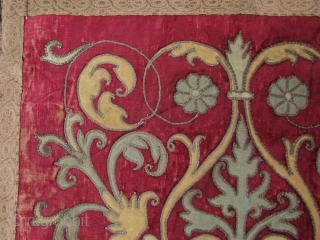 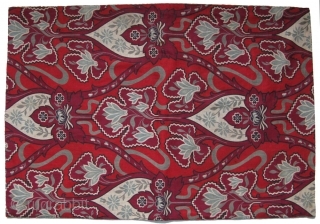 Russian printed cotton backing. Circa 1920s. 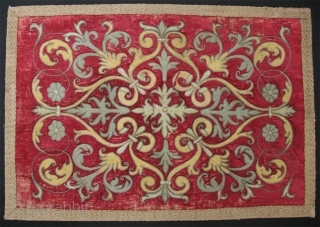 Size: 24" by 17"